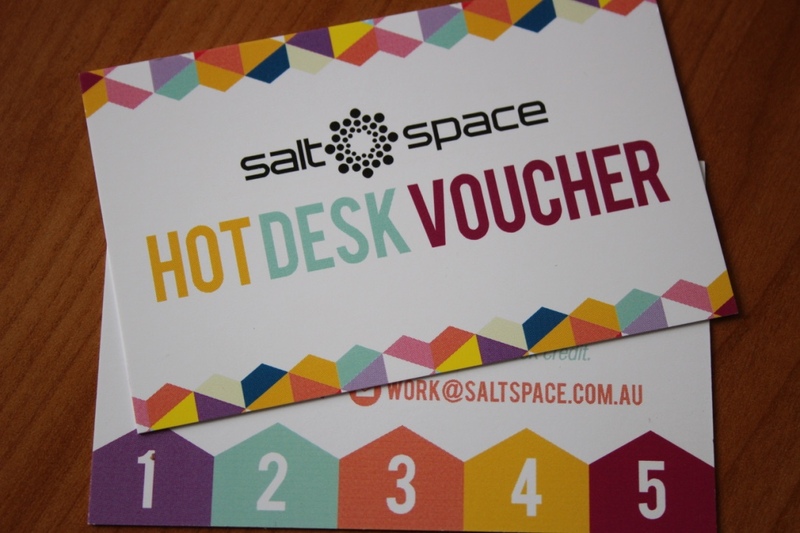 Visit Salt Space more often and save with our Hot Desk Voucher. Buy five days for $100 ($20 per visit). The voucher gives you the flexibility to use your five days when you need them and is valid for 12 months from the date of purchase. You can even bring a friend and use multiple visits simultaneously. Once purchased all you need to do is present the card to reception on arrival for stamping. The five-day hot desk voucher is also perfect as a gift for friends, family or colleagues. 1 hour/week (min half hour booking) free meeting room use and a 50% discount on additional bookings. Minimum 3-month commitment with payment via auto-debit from a credit card. The prices above are for 1 person only. 24/7 unlimited hot desk access. Subject to approval and payment of a refundable key bond. NOTE: occasional meetups or functions in hot desk area may impact availability. 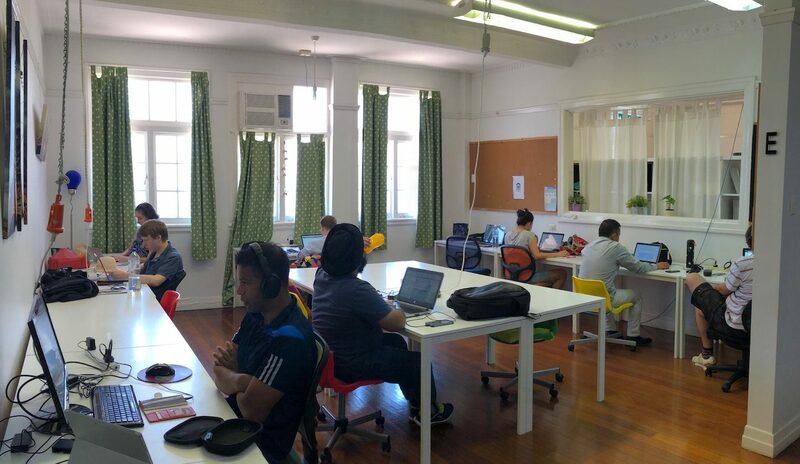 Coworking Desks are subject to availability. Contact us to reserve your space. Prices quoted are for 1 person only. Subject to space availability, one client or visitor is permitted to enter with your supervision and stay free of charge for up to one hour if sitting with you at your desk or using the shared spaces (lounges and alfresco area). Normal desk rates apply after an hour. Coworking desks can only be reserved with full payment upfront. WiFi access is subject to fair use policy.